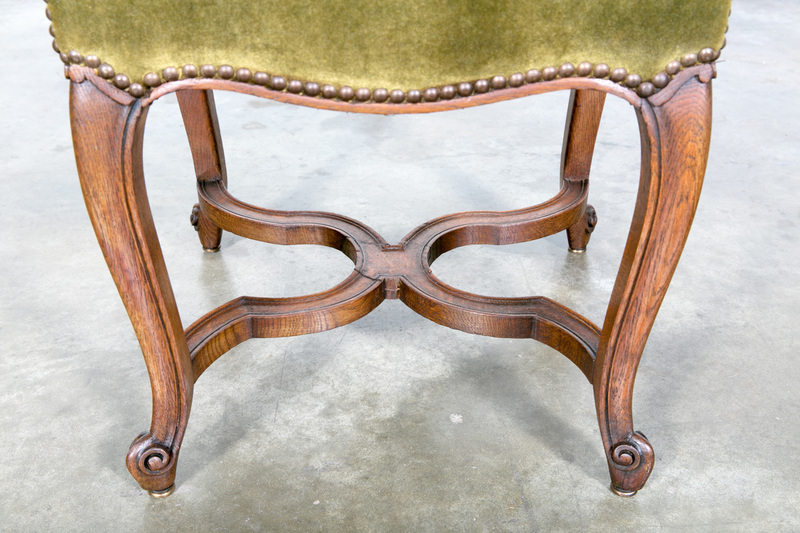 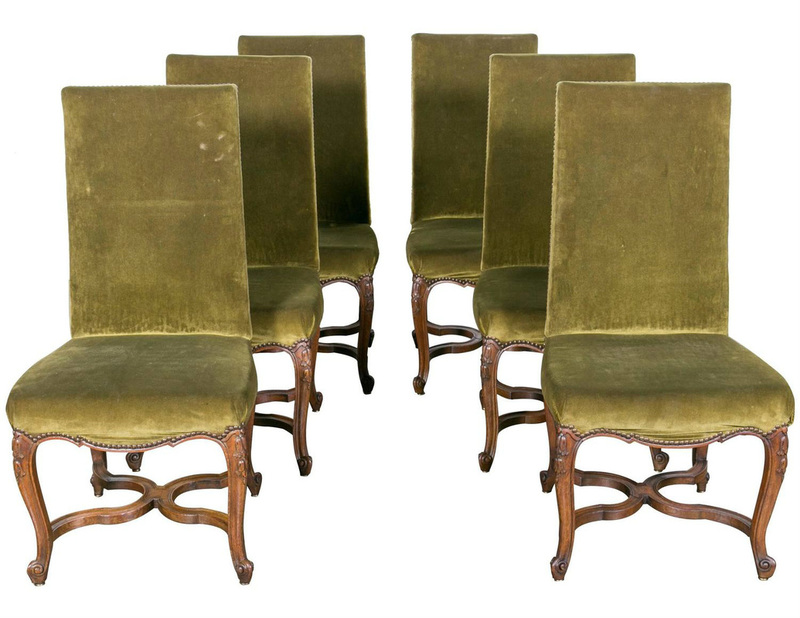 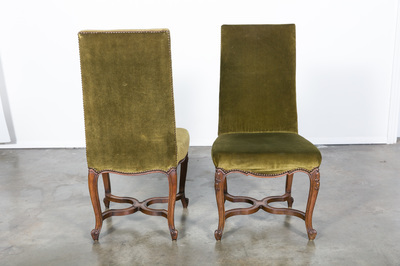 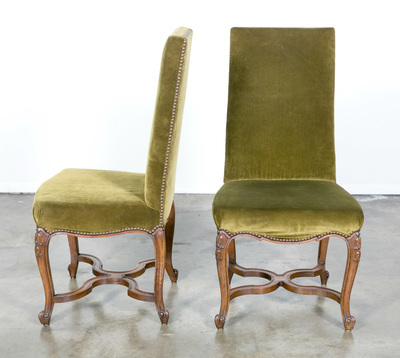 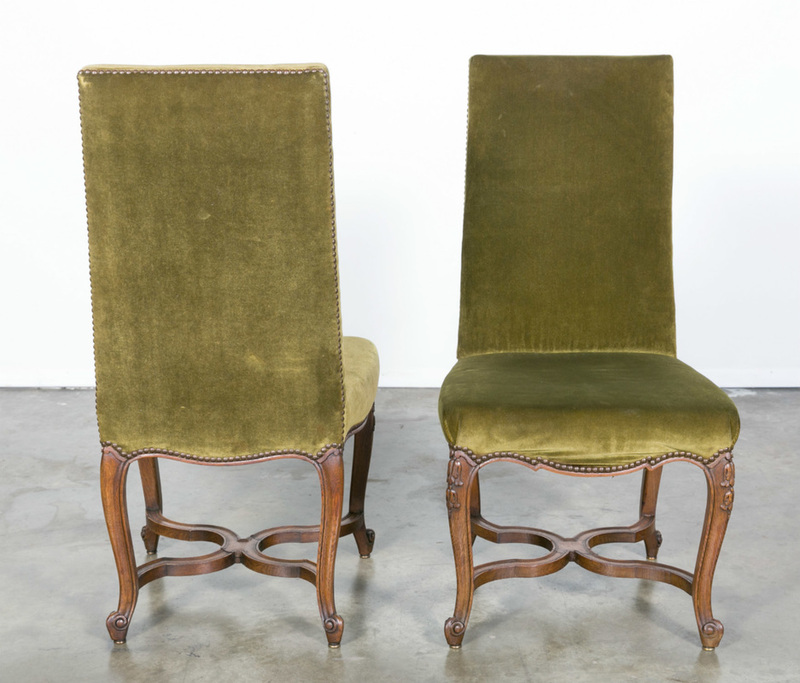 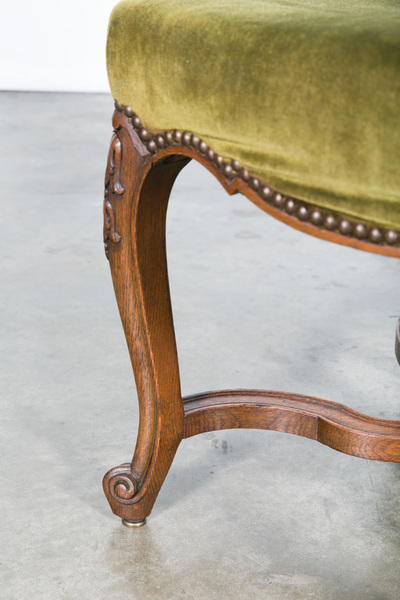 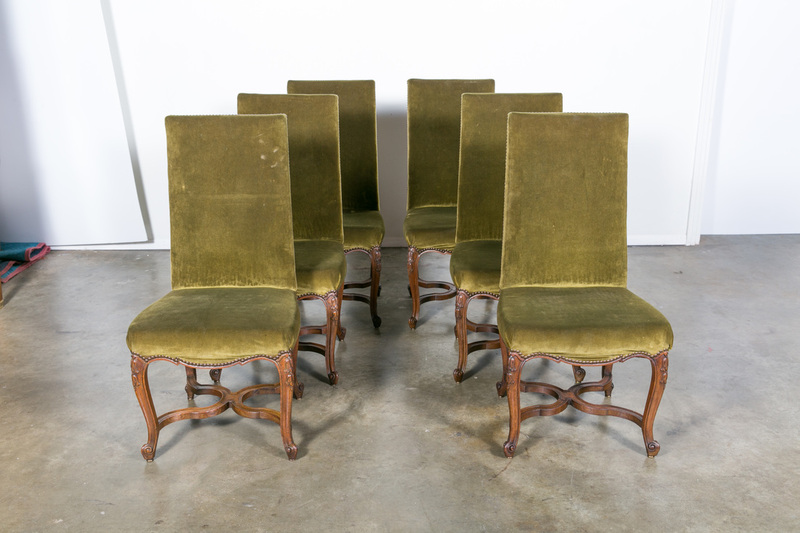 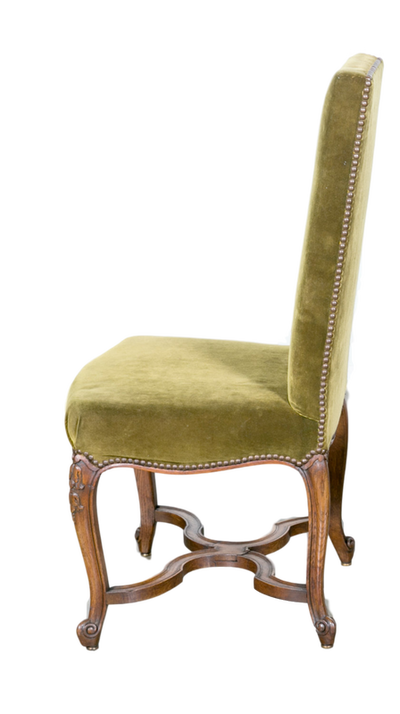 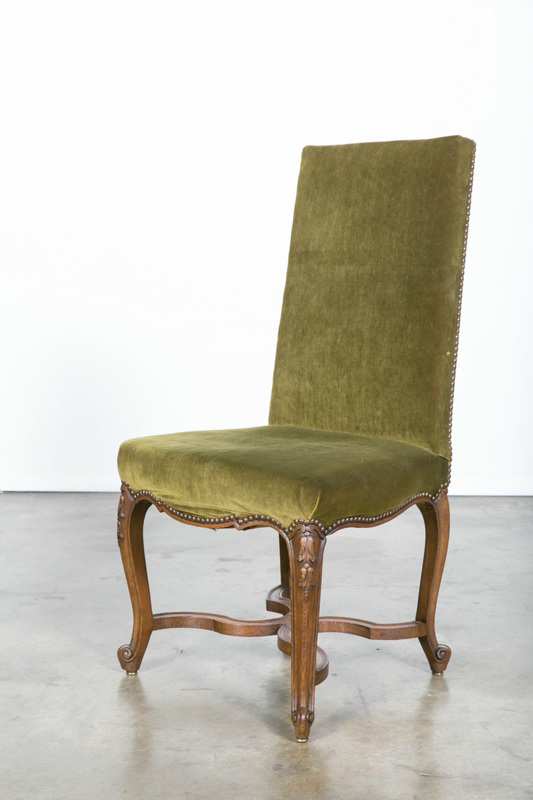 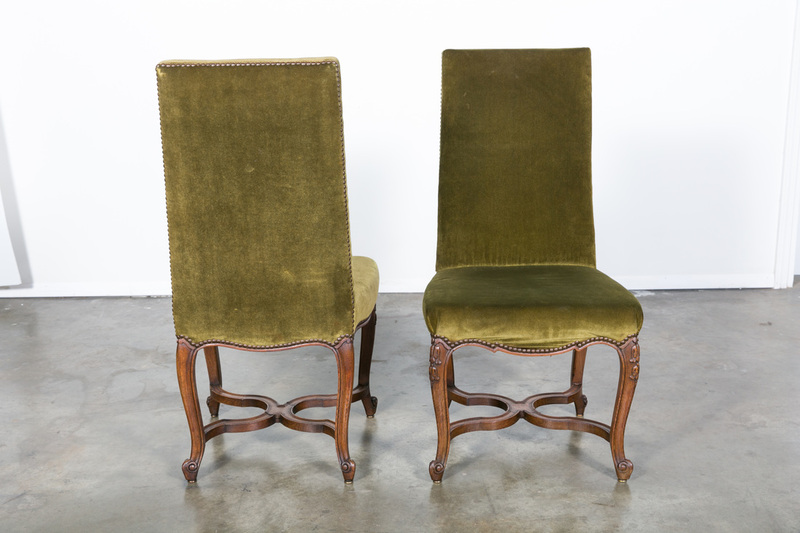 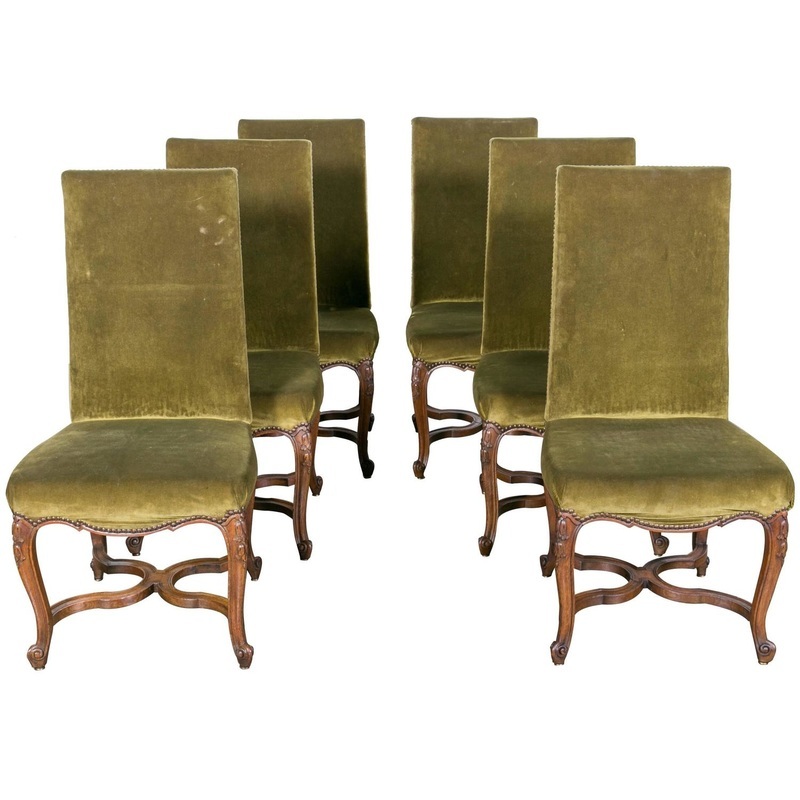 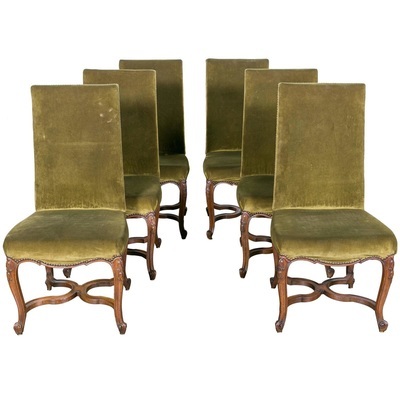 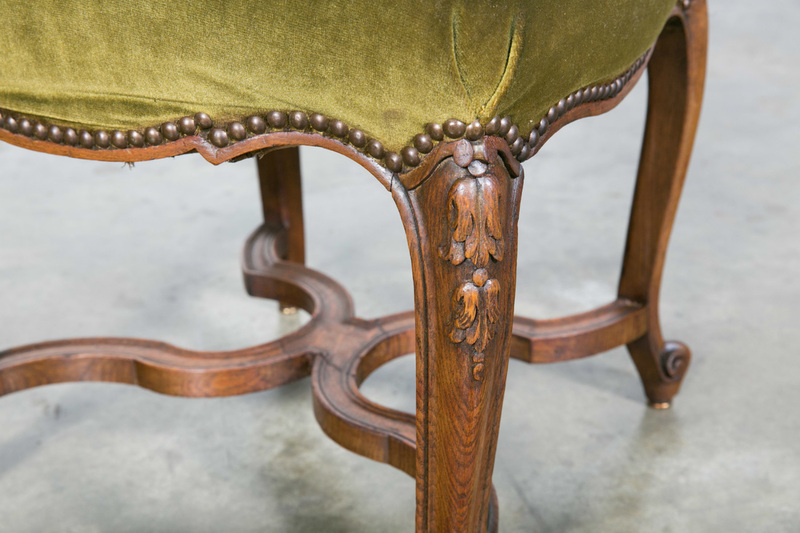 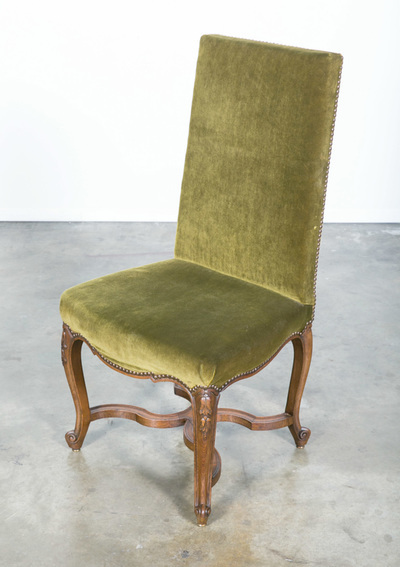 Set of six 19th century French oak Louis XV style side chairs, having a high straight back and brass nailhead trim. 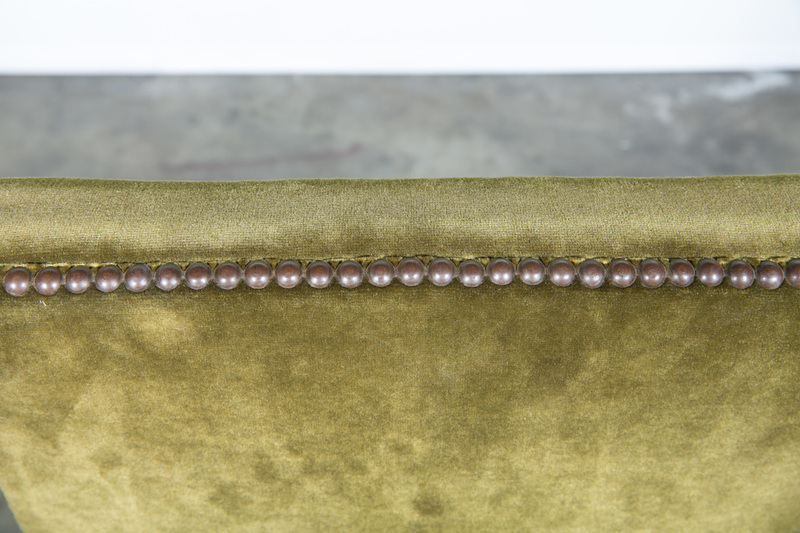 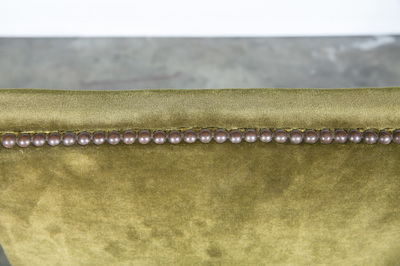 Raised on graceful cabriole legs with carved knees ending in scrolled French toes joined by an X-stretcher. Chairs are solid and very sturdy. 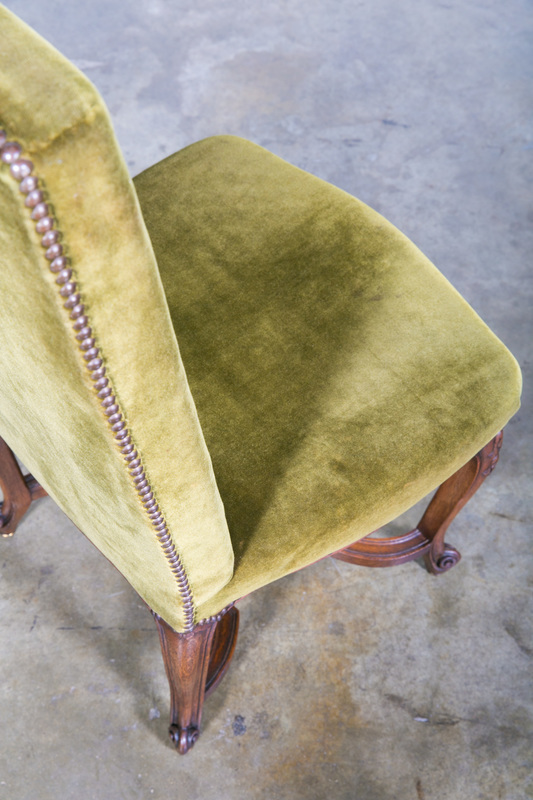 Needs new upholstery. 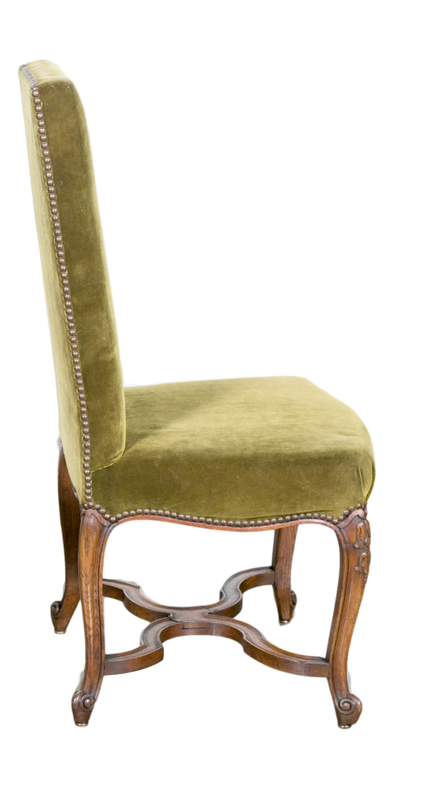 back h - 40.5" seat h - 19.5"